The European Commission has started an effort called E-Track (Energy – Transparency Centre of Knowledge) for the promotion and enhancement of public participation in the implementation of energy policies. The project is a joint initiative from the Directorate General for Energy (DG ENER) and the Joint Research Centre (JRC). The area of radioactive waste management was selected as the E-Track pilot project . On 23rd October 2014, the E-Track RWM project held a first open seminar in Amsterdam with the title “The role of public participation in radioactive waste management and other sectors: Lessons learnt from research and practice”. At the seminar, presentations were made by, amongst others, representatives from the European Commission, the Aarhus Convention Secretariat at the United Nations Economic Commission for Europe, nuclear waste communities, the nuclear industry and academia. It was clear from the presentations that much work remains to be done when implementing the articles on transparency and public participation in the Radioactive Waste Directive (2011/70/EURATOM) in the decision-making processes on radioactive waste projects in the member states. You can find the report from the seminar with the presentations here as well as an information leaflet on the E-track project here. NTW supports E-track and Johan Swahn is the NTW representative in the E-Track Advisory Group. NTW is working for more environmental NGO representation on the agenda and in the audience of the E-track project. NTW welcomes the concept of E-TRACK which strengths effective public involvement in Radioactive Waste Management decision-making, including taking due account of their opinions, and raise major public concerns. If we can raise the level of knowledge, debate and understanding among the general public it will give policy makers and implementers greater confidence in making long term decisions about sensitive projects and at the same time show how consumers and affected citizens can effectively bring in their own viewpoints and raise concerns. One and a half years after E-track setting up, NTW shares the Advisory group concern about the current state and future of the project: inadequate resources, limited use of information collection, the lack of political support, etc. NTW fully supports the statement of members of the Advisory Group and calls for an assurance from the European Commission to further invest in the necessary human, financial and technical capacities for developing E-track. Download the E-track Advisory Group statement of 29 November 2015. The European Commission’s Joint Research Centre (EC-JRC) and the European Academies’ Science Advisory Council (EASAC) have presented a report with the title “Management of spent nuclear fuel and its waste”. The organisations aim with the report is to support the implementation of the Directive 2011/70/EURATOM on the responsible and safe management of spent fuel and radioactive waste. 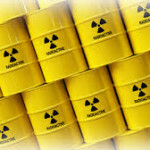 In the report the different strategies for managing spent nuclear fuel and radioactive waste are described and assessed. Issues covered are sustainability, safety, non-proliferation and security, economics, public involvement and on the decision-making process. Download the report or a synopsis and find out more about the launch event. Nuclear Transparency Watch sent a letter addressed to Mr Oettinger, the European Commissionner for Energy concerning illegal radioactive waste export from Hungary to Russia. It is a first step in order to monitor nuclear activities and improve transparency in this sector ! We received an acknowledgement of receipt and two months later a reply from the European Commission. However, this reply does not give us the answers we are entitled to wait for. That’s why we decided to send a new letter to the European Commission asking to be more precise and in order to clarify the issue. Nuclear Transparency Watch has been informed that the Hungarian nuclear energy operator MVM is currently preparing the export of high-level nuclear waste from the INES 3 incident in 2003 in the Paks 2 unit to Mayak in Russia. We have been informed that the contracts for this export foresee transfer of ownership of this waste to Rosatom/ TVEL or another institution in Russia, and do not foresee any return of the waste for final disposal in Hungary or another EU country. Art. 4(1): Member States shall establish and maintain national policies on spent fuel and radioactive waste management. Without prejudice to Article 2(3), each Member State shall have ultimate responsibility for management of the spent fuel and radioactive waste generated in it. Art. 4(2): Where radioactive waste or spent fuel is shipped for processing or reprocessing to a Member State or a third country, the ultimate responsibility for the safe and responsible disposal of those materials, including any waste as a byproduct, shall remain with the Member State or third country from which the radioactive material was shipped. Art. 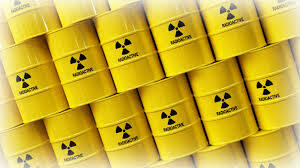 4(4): Radioactive waste shall be disposed of in the Member State in which it was generated, unless at the time of shipment an agreement, taking into account the criteria established by the Commission in accordance with Article 16(2) of Directive 2006/117/Euratom, has entered into force between the Member State concerned and another Member State or a third country to use a disposal facility in one of them. Nuclear Transparency Watch has been informed that the shipment of this high-level waste to Mayak will not be for the purpose of reprocessing with consecutive return of the reprocessing products and waste by-products to Hungary, but for a transfer of the waste, including transfer of ownership of the waste, to Rosatom / TVEL or another institution in Russia. Nuclear Transparency Watch has been informed that even in case the new owner would decide to reprocess the waste, waste produced as by-product as well as retrieved products for which no further use can be found will remain in Russia and under ownership of the new owner, i.e. out of the ultimate responsibility of MVM. Nuclear Transparency Watch is aware of the fact that neither Rosatom / TVEL nor any other Russian institution, nor Russia as state has a licensed and operating final disposal facility for high-level waste. The agreement(s) made between MVM and Rosatom / TVEL or another Russian institution therefore cannot provide any insurance concerning final disposal of this waste or products and by-products of reprocessing in case the new owner would use that option. The operations of Rosatom / TVEL in Mayak include temporary storage of high-level wastes, but no operational final disposal that would fulfil EU quality standards. As far as we have been informed, the agreement between MVM and Rosatom / TVEL or another institution does not foresee repatriation of the waste to Hungary in case Rosatom / TVEL or any other institution in Russia fails to provide such a final disposal. Nuclear Transparency Watch is furthermore aware of the dismal track record of Rosatom / TVEL’s Mayak operations and the historical and current exposure of the surrounding population to unacceptable levels of radioactivity and lack of sufficient care and compensation for the effects of historical exposures. Given that track record, Nuclear Transparency Watch has severe concerns about whether even temporary storage or processing and consecutive storage of the waste would fulfil EU standards. Nuclear Transparency Watch is not convinced that MVM or Hungary will be able to execute its ultimate responsibility for care of this waste in case the new owners or Russia fail to fulfil EU quality standards, nor is Nuclear Transparency Watch convinced that MVM or even the Hungarian Armed Forces would be able to repatriate the waste in case EU quality levels would be flouted by the new owners or Russia. With that, Nuclear Transparency Watch is convinced that MVM and Hungary under this plan are giving up their ultimate responsibility for this waste. 1. Is the European Commission informed as prescribed in art. 4.4 of the Directive of this planned export of high level radioactive waste? 2. Given the above, what is the opinion of the European Commission concerning the legality of this export? 3. Given the fact that this export means a de facto transfer of ultimate responsibility of high-level radioactive waste from an EU Member State to a third state, which steps will the European Commission take to prevent this waste export?